Looking past Cheltenham, what are the biggest upcoming events on racing’s calendar? The Cheltenham festival is one of the biggest in all of horse racing, so it is no surprise that, right now, horse racing fans have their eyes glued to it with a lot of focus placed on it. It is an amazing festival with some great races, a relaxed atmosphere and it attracts the biggest horse racing fans in the world. One the other hand, it is not the be all and end all of horse racing and really, it just fires the starting pistol on the season. There have, of course, been meetings already this year with plenty of great races having been run and stories having been written. However you only need to look at just how many Horse racing tips have been written in the last couple of weeks about Cheltenham to realise how popular and how important the festival is to the horse racing world. It is a magical time and one which many people count down the days until. It is also, of course, really popular in the betting world with over £100 million spent on the festival each year. A vast some of money that is almost beyond comprehension. The worry is, that the horse racing world will fall victim to the great post Cheltenham blues, where fans are sad after it is over, owing to the fact that it is so popular and it dominates racing so much, that once its done, it can be hard to look forward. It is quite similar to after Glastonbury, a music festival so big and so popular that it can feel tough to be excited about more music festival afterwards, even though Glastonbury is one fairly early in the year. Never fear though as there is plenty of great racing still to come, from one off races to full festivals there is plenty to look forward once Cheltenham is done and dusted. Here are some of the best events to look forward to, ones to mark down in your calendars and count down the dates to. Horse Racing never really stops and there is still a great deal to be excited about. The horse racing event that the whole country watches. Even people who are not that into horse racing stop and have a flutter on the national, it is a nationwide love and has created some amazing memories and moments. Many people remember shock winners like The Red Marauder or all time legends like Red Rum. The national is a special event that garners millions of viewers and is without doubt the most popular of all races in the United Kingdom This year will see another great filed stacked with talent and with both horses and jockeys who will see their participation as culmination of everything they have worked hard for. It is a fantastic event to watch. This meeting at Newmarket is all about the 2000 guineas, one of the most famous and storied events in the sport. 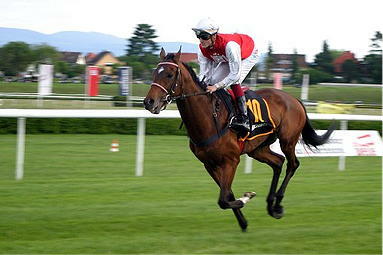 It brings together some of the most talented horses and jockeys all vying to win of racings greatest prizes. With over 200 years of history and with so many wonderful stories having been written during the guineas, everyone wants to add their name to the honour roll. Aidan O'Brien will be hoping to add to his eight wins as a trainer this year with a number of people aiming to stop him. Alongside the Cheltenham festival, Royal Ascot is one of the most popular and most loved events in the British racing calendar. If Cheltenham is relaxed and a little less stuffy that other big festivals, Royal Ascot is the poshest and most exclusive of all the festivals. It welcomes members of the royal family, including the queen, and has one of the biggest budgets of the all festivals in the world. It has some great races, some really fantastic horses as well as some of the most beloved fashion the world. Ladies day is something known even outside of the horse racing world. So make sure not to miss out an Ascot as this years is likely to be bigger than ever, and it was already pretty big.